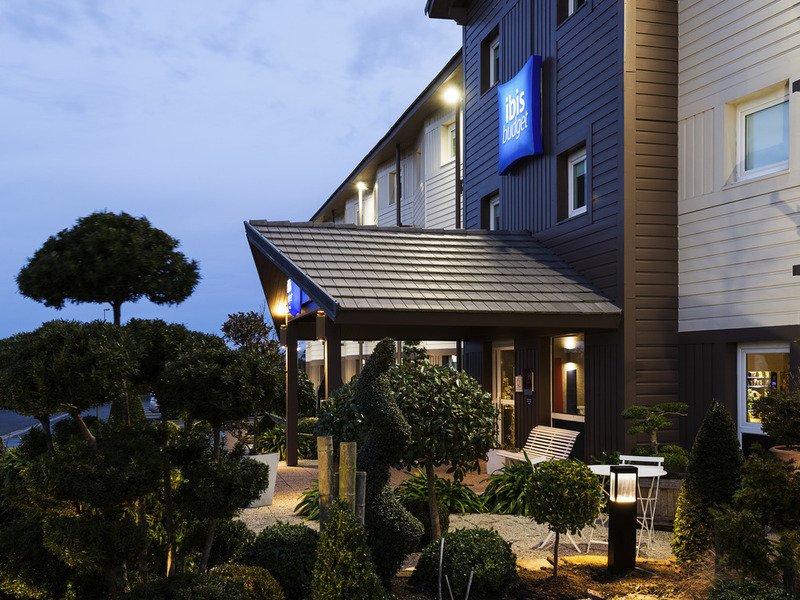 Welcome to the ibis budget Cabourg Dives sur Mer hotel: Normandy's very own Japanese garden! In a superb green setting just 0.6 miles (1 km) from the center of Cabourg, 9.3 miles (15 km) from Deauville and with direct access to Cabourg beach via a pleasant pedestrian pathway, the ibis budget Cabourg-Dives-sur-mer (formerly Etap Hotel) looks forwa rd to welcoming you. Choose the economic accommodation choice: rooms for 1, 2 or 3 people with shower, toilet and TV, as well as a delicious unlimited buffet breakfast at a very low price.